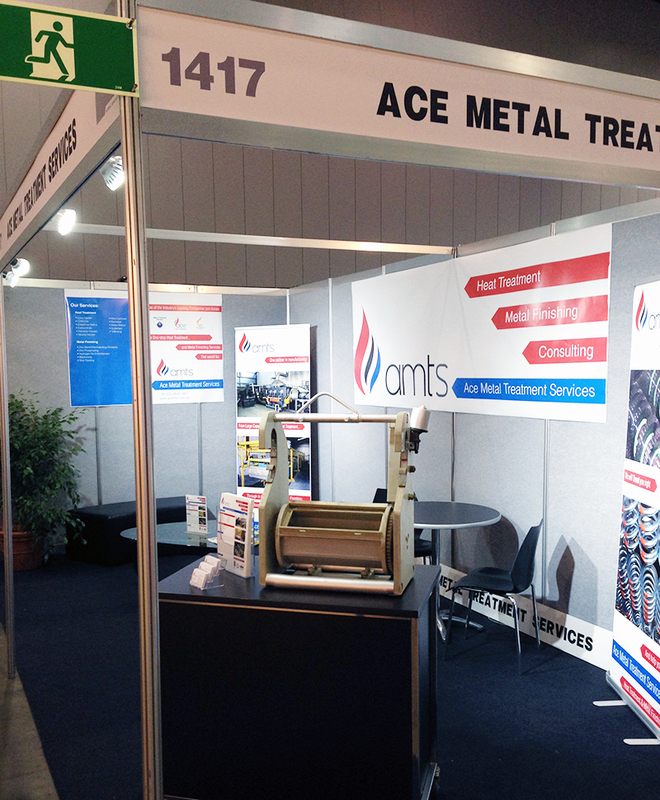 In May 2013 AMTS participated in the National Manufacturing Week Exhibition, at the Melbourne Exhibition Center (Or as it is affectionately known by locals “Jeff’s Shed”). Our participation was a key as part of the relaunch of “Ace Metal Treatment Services” following our 2012 merger. Visitor numbers may have been down on previous years, but it was great to be able to take the time to speak to people who still maintain such a passion for manufacturing in our great country. From all of us at AMTS, a very big thank you to those who took the time to stop and say hello. AMTS. All Rights Reserved 2018.